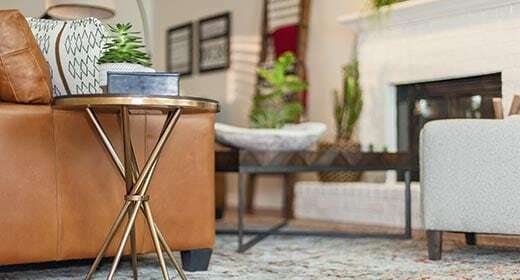 Nothing freshens a room like new coffee table decor ideas from a pro. 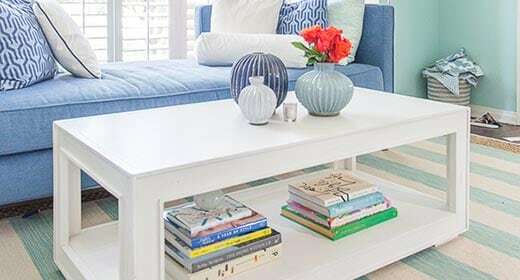 Our stylist shares coffee table decorating ideas you'll want to try in your own home. 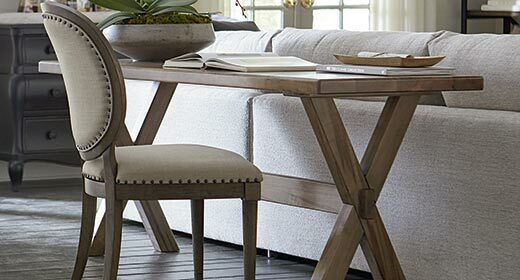 Here at Bassett Blog you'll find design inspiration and so much more. See what we're talking about. Entry hall furniture defines your home. 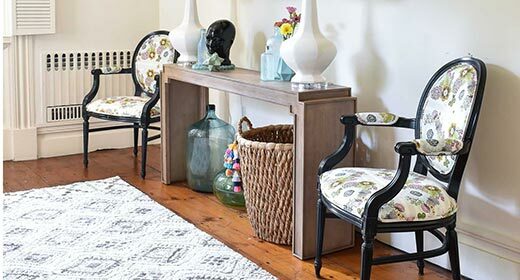 Take a peek inside for a few simple entryway furniture ideas to update your space and create a welcoming new look. How to choose the right lighting for every room for the most productivity, comfort, appeal & style. Plus task lighting, path lighting & ambient lighting. 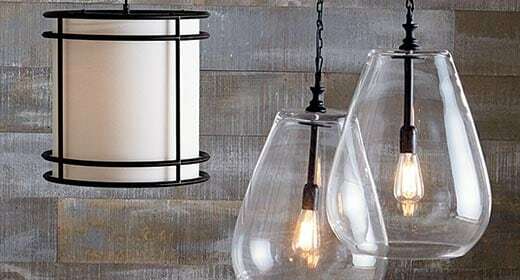 How to combine lighting in any space for style, variety, interest, and function. Learn how to mix and match mood lighting, add soft shadows, and more. Journey through art styles and examples, art styles throughout history, art movements and current art styles to better appreciate and understand various art forms. 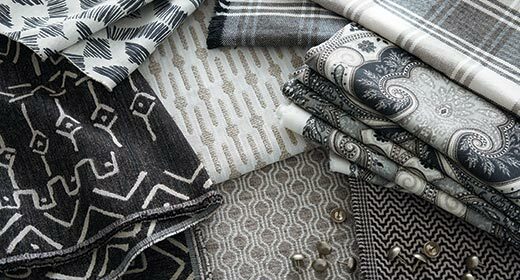 Learn the 2019 trends we are excited for (and know you will be too) …from color schemes to furniture, fabrics to accessories … for every room in your home. The holidays are a great time for a dinner party at home. Read on for our top choices to make your holidays feel special and your home party feel complete. Ever wish you had some interior designer tips for your own home? 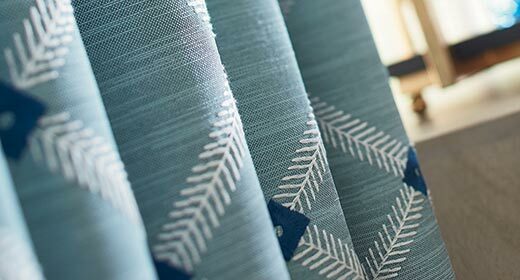 Then read on as two Bassett designers share their favorite interior designer insider tips. 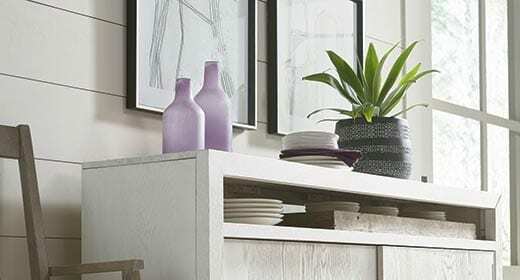 When nature brings out its spring décor, it’s time to refresh the home too! 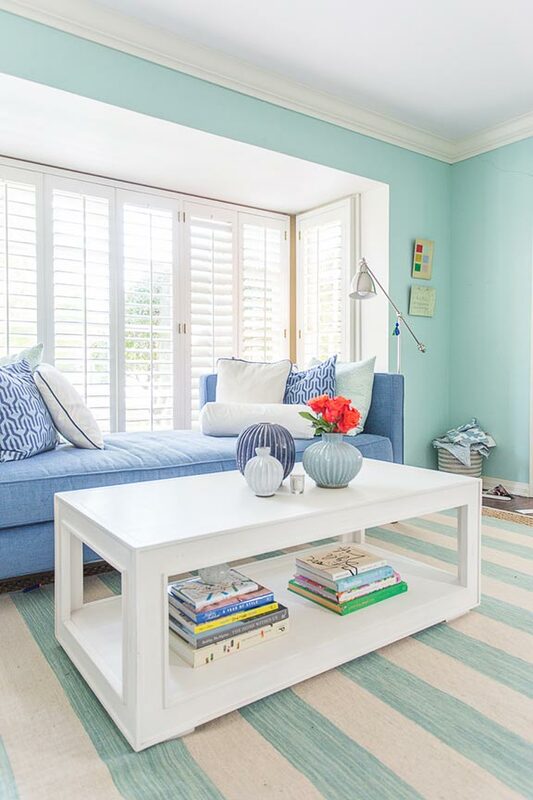 Read on for easy spring ideas to give any room a breath of fresh air. 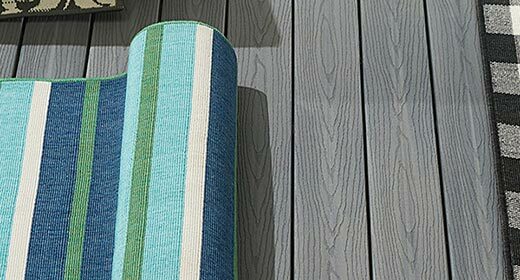 Indoor/outdoor rugs have come a long way. They’re durable, easy to clean, and (we promise!) beautiful. Here’s why you should buy one for your room, inside or out. 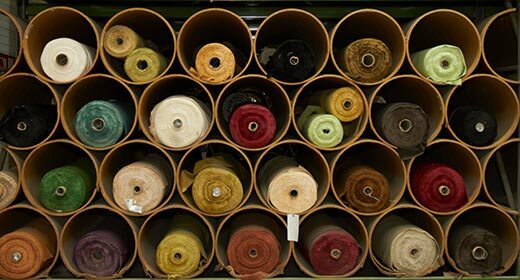 Performance fabrics are not created equal. 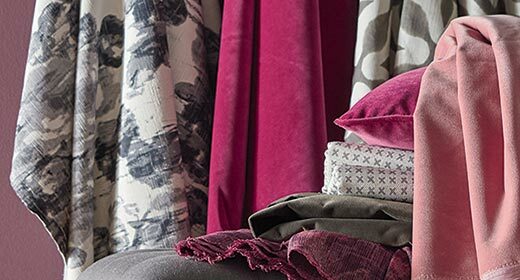 Get to know performance fabric upholstery, performance fabric furniture, performance fabric examples and more. 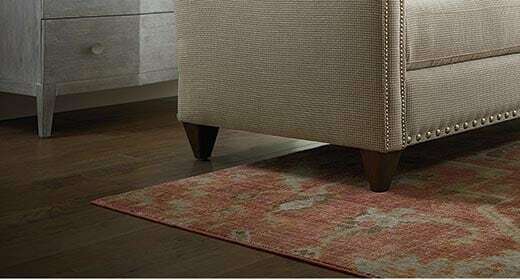 There are many types of rugs on the market, but they can be classified by materials and by types of rug weaves. 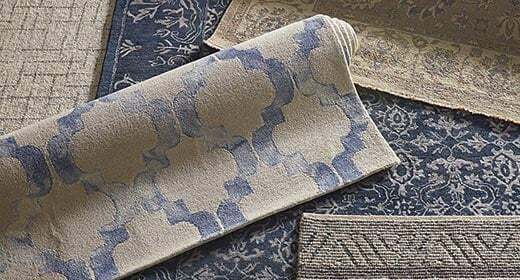 Learn why rug construction matters, and use your knowledge of rug construction to select the pZerfect lasting rug for your space. This quick guide to color theory will help you understand the difference between a color shade, color tint, hue, and tone. 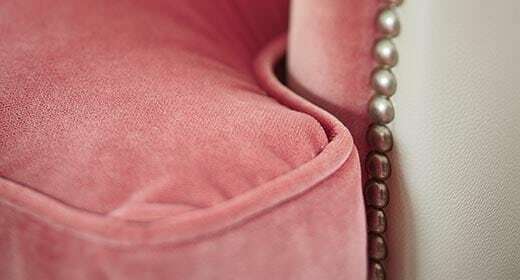 Then use our tips — or the helping hand of a Bassett interior designer — to create the color scheme that makes you feel right at home. 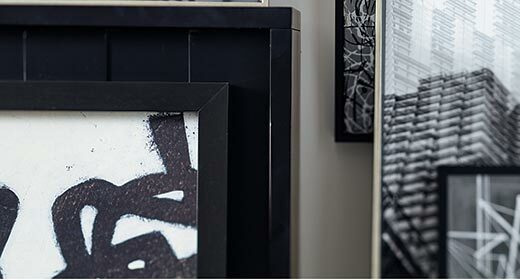 Wondering how to hang art or a gallery wall without all of the fuss? Three mistakes when hanging artwork and the big secret to getting it right the first time. What colors will be decorating homes this spring? 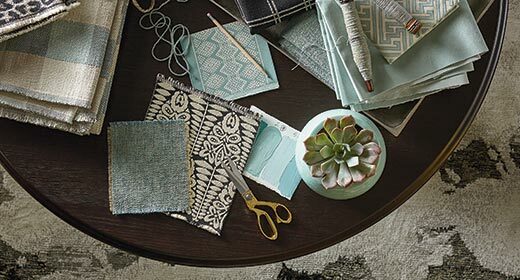 We offer advice on how to use the latest color trends in your home, based on Pantone’s trending colors. 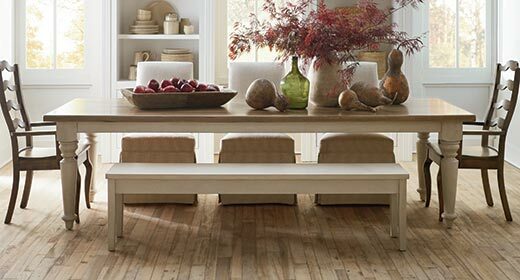 Finding the right dining table size and shape for your room is merely a matter of knowing the style of room you have, the dimensions of your room, and the number of people you’d like to serve. What to do about table leaves and extra seating when they’re not in use? Follow along, we’re serving up the answers right here. 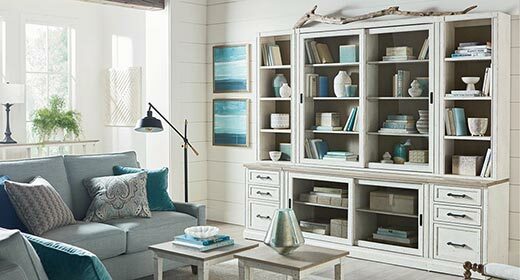 To completely refresh your room, check out some bookcase makeover ideas and start arranging! 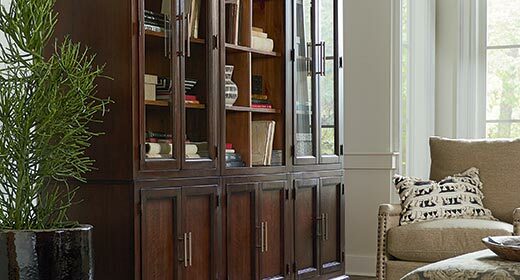 Our stylist offers some bookcase tips to get you started.To completely refresh your room, check out some bookcase makeover ideas and start arranging! 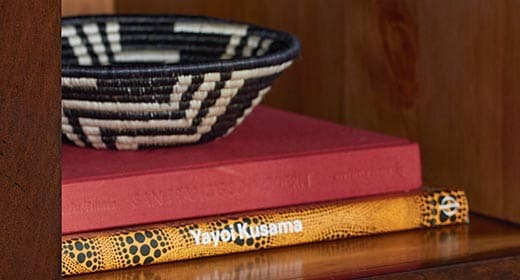 Our stylist offers some bookcase tips to get you started. Interior design influencers pull back the curtains to let us in their homes. 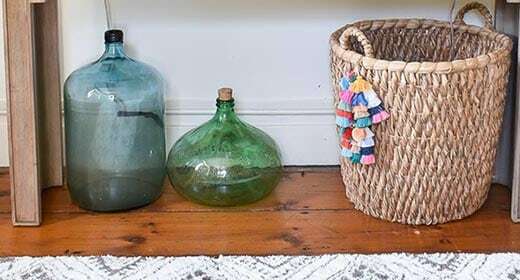 Their 10 best home decor products look as good in real life as they do in a store. 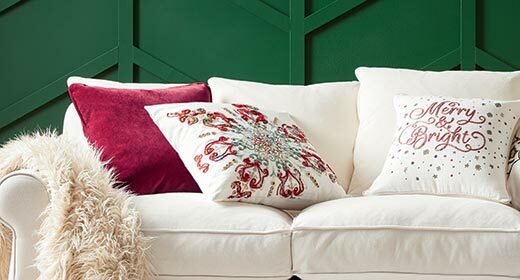 Love decorating with holiday colors? How about developing a holiday color palette to last from year to year? Or you may just want to keep them all year long! Need a comfy place for guests? 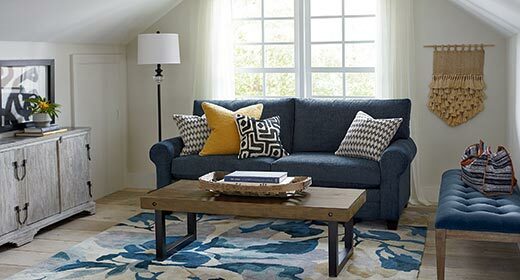 Here’s what you need to know to choose between a futon and sleeper sofa, also known as a convertible sofa or sofa sleeper. 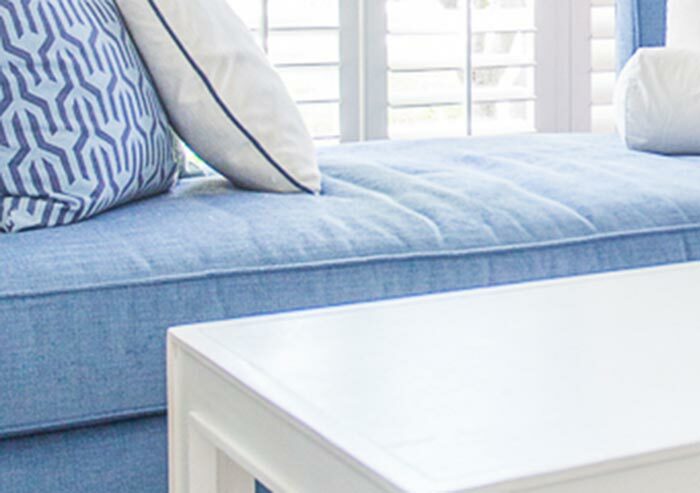 Changing floorplans and adding windows may not be on your to-do list this season, but you can create that light and airy decorating trend by following a few simple steps. 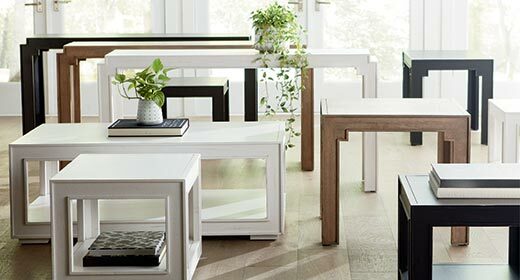 Dual purpose furniture, convertible furniture for small spaces and multifunctional furniture give new meaning to the term “smart home.” Space-saving furniture and furniture that transforms into something else – like a standard height coffee table that lifts to become a desk, or a baby changing table that becomes a big kid dresser -- are perfect for stylish but small family homes and apartments. 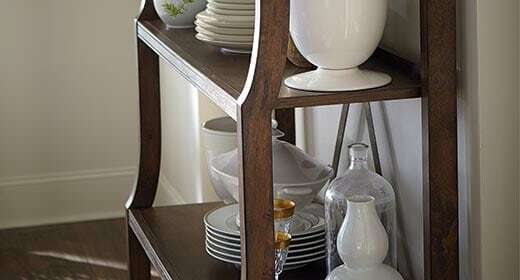 Having everyone over and having enough seating do not always go hand in hand; take our tips and turn to multi-functional pieces when you’re preparing to entertain. 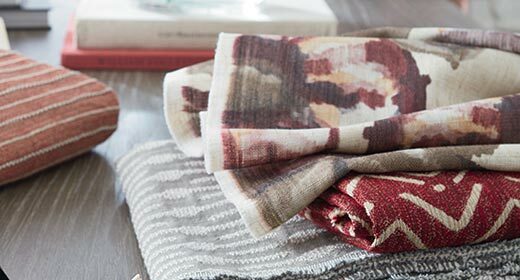 The fall color palette brings warmth and coziness to any room. 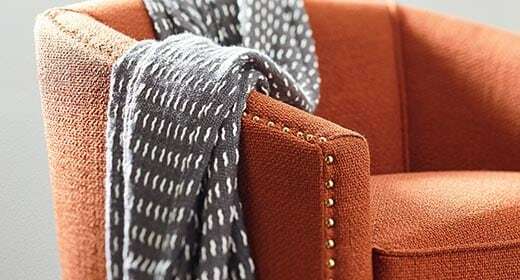 If you’re drawn to a fall warm color palette, you may even be able to keep it around all year. Thanksgiving is time for gathering around the table. 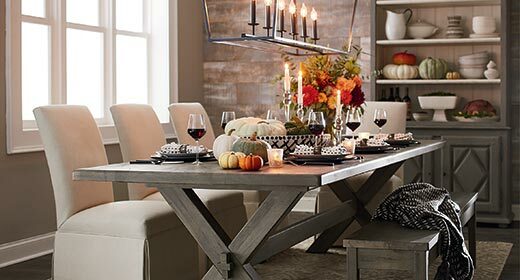 Discover how to plan holiday seating, make the dining room the holiday focus & create holiday traditions. 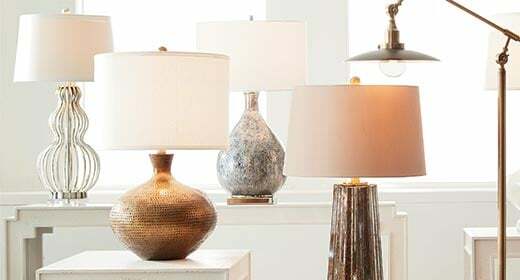 When choosing a lamp, it helps to factor in the design of the whole room, even if you are just thinking of a table lamp, floor lamp, or pendant lamp. 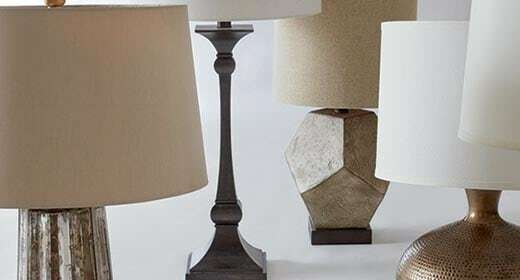 A few simple design tricks can make choosing a lamp so much easier. 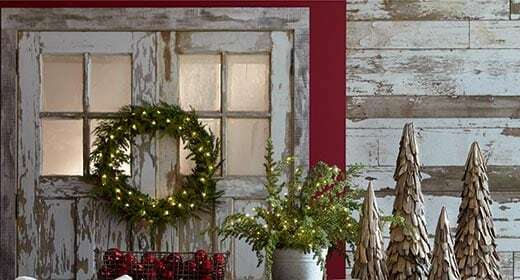 How to design great, cozy gathering spaces for creating holiday traditions. Make special memories for your family this year with Bassett heirloom furniture. You don’t have to be a design expert to shop for furniture online, you just need to do your homework. Here: a few important tips and tricks to get you started. The need to decorate small studio apartment spaces requires even more planning than larger spaces do! That’s why Bassett design consultants are happy to furnish studio apartment ideas to make your place sparkle. 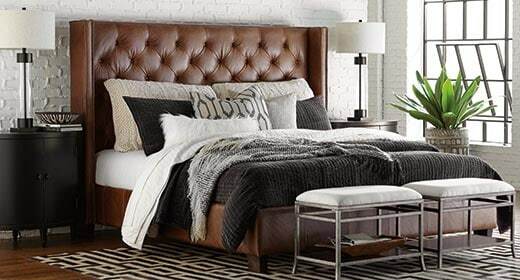 Read on and learn how to decorate small studio apartment spaces with function and style. 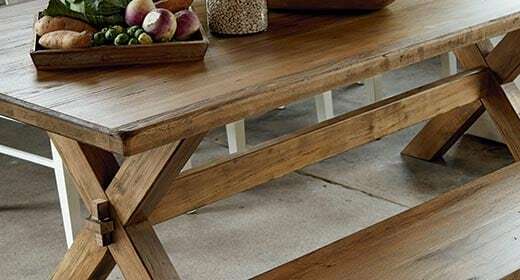 How to care for wood furniture: keep your Basset wood furniture looking as new as the first day you bought it. Plus find out about our Guardsman protection plan. Looking for the most standard furniture dimensions to help get your project started? We've got you covered. Take care of leather to keep it looking its best. 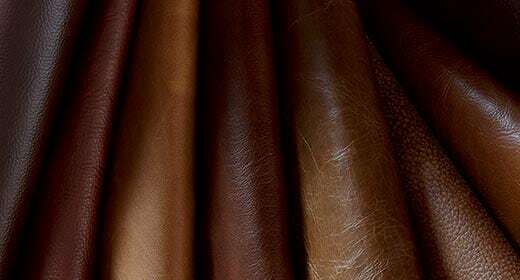 How to take care of leather couch, leather care, leather care tips, how to take care of leather – it’s all here. How to design a multi-purpose guest room as a versatile space to suit all of your changing needs. Desk, seating, storage, organization, sleep solutions & more! When decluttering don't procrastinate. Try to develop a strategy for your project, criteria for deciding what to get rid of, and a system for how to do it. A quality couch should last 7 to 15 years. 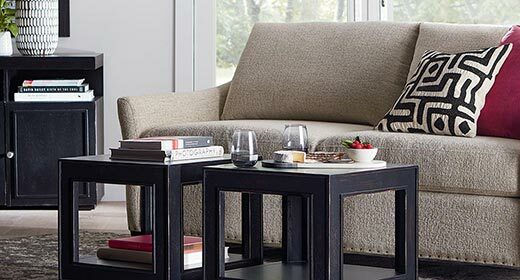 Here are tips to help you invest in durable living room furniture that will maintain its beauty and comfort for years to come. Deciding how to lay out a living room can be tricky, especially with a fireplace in the room. Before you begin, we offer living room layout help for rooms of shapes and sizes. 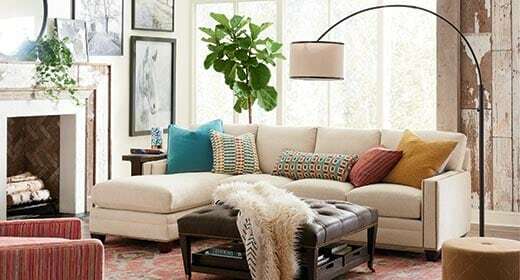 From apartment-sized loveseats to loveseat sofas, get a quick lesson on loveseat widths. Then, use our free room planner to find one to fit your space. 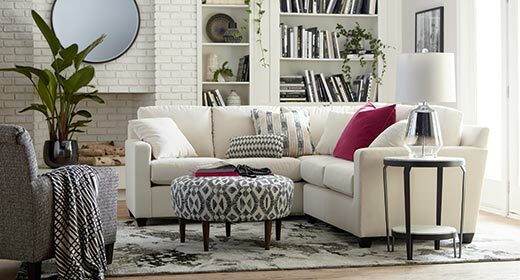 Whether you like to sink back into a couch or sit upright with your feet on the floor, find a couch with the depth that fits your style. 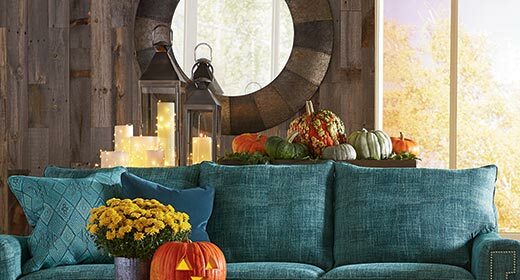 Update for fall like you mean it – change out pillows, bring out the blanket throws, focus on cozy colors, and definitely dim those lights. 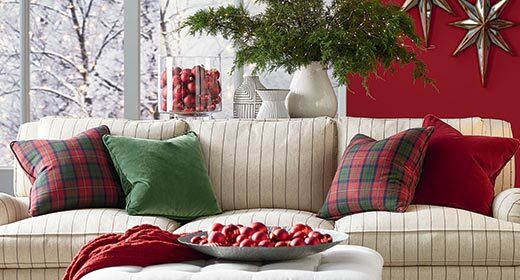 Room planning is a breeze when you discover creative ways to add extra seating for the holidays. 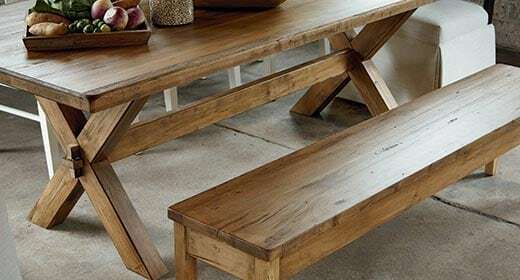 Find out about benches vs. chairs plus incorporate table leaves. 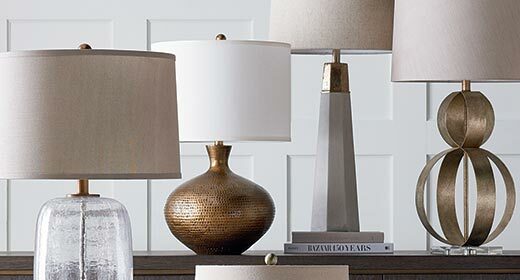 When you’re considering home lighting ideas, a little background about layers of light is a good place to start. Understanding light temperature also helps, too, regardless of whether you’re looking for kitchen lighting ideas, living room lighting ideas, or really any interior lighting ideas. Creative home office ideas help make the most of your space. With flexible home office furniture, you can create a beautiful, lasting home office design that can adjust as your needs change. Read on for ways to make your office furniture arrangement do double duty and function as much more than just a home office desk. Facing a home design project and don’t know where to begin? We’ll help you break a big project down into a manageable step-by-step plan. Learn the essentials of room design, and then use our interactive room planner to visualize how everything will come together. How do you know what will look best when decorating a room – warm vs cool colors? A few cool vs warm examples illustrate what color temperature means and how to hit the mark when mixing warm and cool colors. Find out where you stand on the choice of warm vs cool colors, and what combinations will work best for you. Searching for baby’s room ideas? 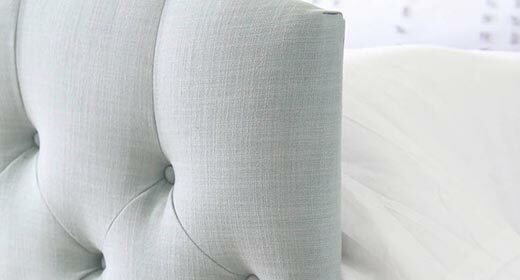 Bassett is happy to help with nursery design advice, decorating ideas and a checklist to help you get started. 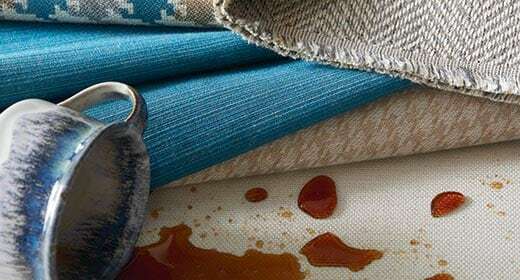 Take care of upholstery: Here’s what you need to know to take care of upholstery, fabric cleaning codes, professional upholstery care and repair services, best way to clean upholstered sofas and other upholstered furniture yourself, ways to clean and protect furniture fabric, how to protect fabric sofas and more. Deciding where to put a TV in the living room TV and how high to mount a TV takes a bit of figuring. These guidelines for the optimal TV viewing distance and how high to put TV on the wall will make our TV wall mounting project a snap! When your desk has limited storage space, any thought about how to organize your office desk brings big results in productivity. Looking for ideas about how to organize your desk at home? Use these desk organization ideas to make a small desk functional as well as pretty. 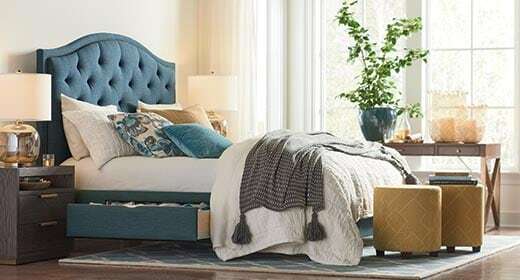 Get great — even surprising — ideas for small bedroom closet organization and learn how quality Bassett furniture can keep what you can’t fit in your closet out of sight. The result? A private place you’ll celebrate every time you open the door. 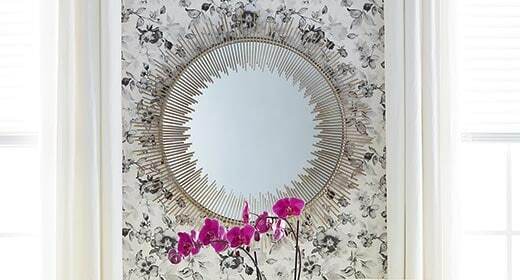 Decorating with mirrors can be one of the easiest ways to inject style into your space, as you can see from our mirror decorating ideas. Whether you need bathroom mirror ideas or bedroom mirror ideas, you’ve come to the right place! 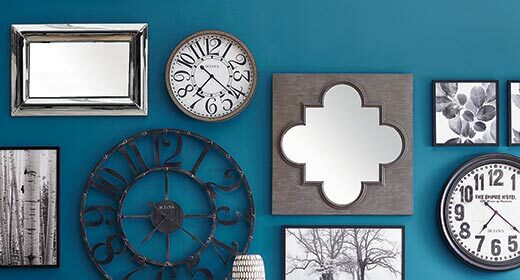 Read on for creative mirror ideas to reflect your style. Choosing paint color can be much easier if you have a home color palette. 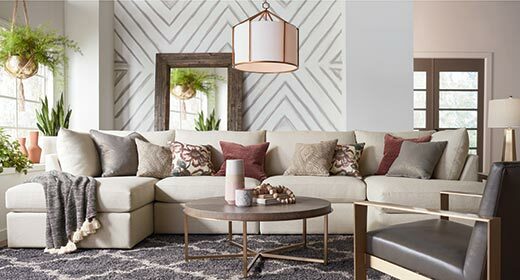 Whether you’re looking for living room color ideas or simply picking out accent wall colors, creating a home color scheme ensures that furniture, wall colors, and accents all fit. Having a color palette for home or room makes choosing design elements a snap. 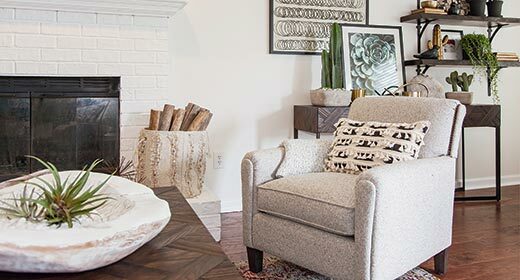 Don’t start furniture shopping until you learn these four essentials of an open floor plan design. 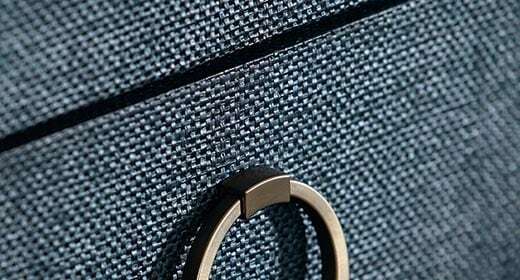 To reduce unwanted noise, you can combine smart furniture placement with the best soundproofing materials in order to dampen echo-causing vibrations. Working with an interior designer is a quick, mistake-free way to get perfect pieces and stylish rooms. So how much do designers cost? Usually thousands of dollars. 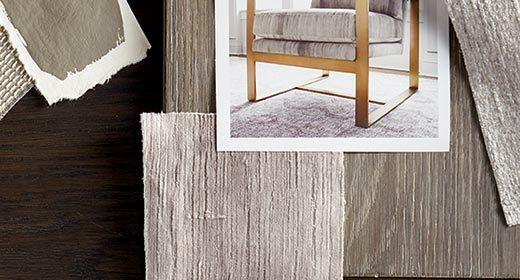 At Bassett, our interior design consultations are free, with our gracious compliments. 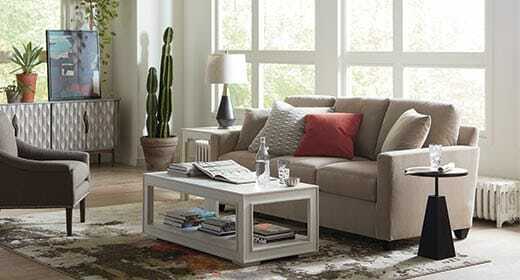 Look here for leather furniture basics, including leather types, grades, and care. 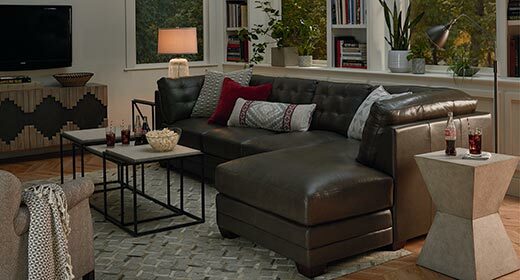 This Bassett guide can help you understand how to buy leather furniture so you can enjoy this gift of nature for years to come. 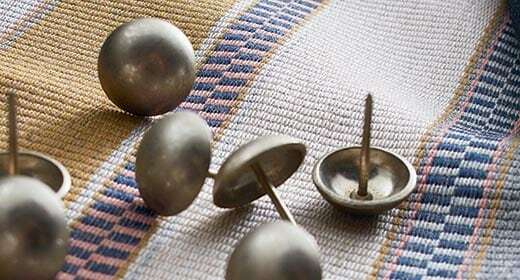 How to determine the best upholstery fabrics for your home, based on fabric content and type. Not sure which furniture style you like? 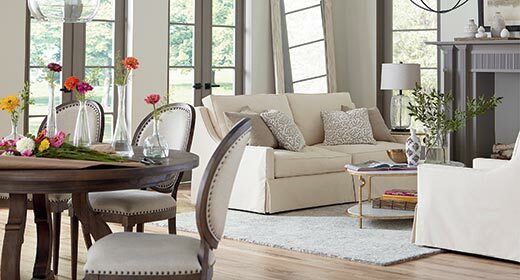 The Bassett guide to traditional furniture styles and contemporary design can help you put a name to your favorites. 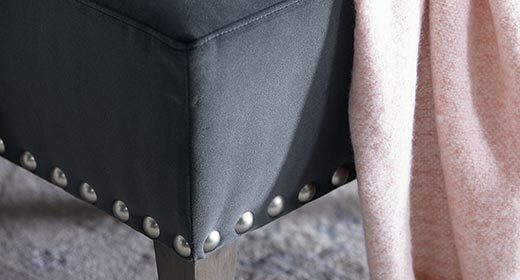 You’ll know which designs and details to look for when you shop for furniture and accessories. 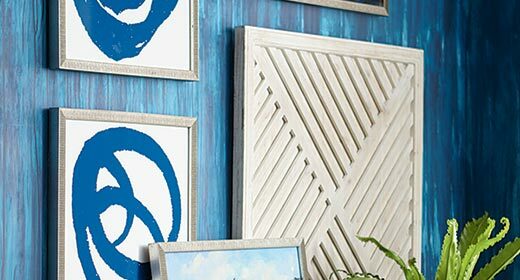 With a few gallery wall layout options, and a few tips about how to create a gallery wall, you’ll be able to design your wall in no time. A quick rug size chart showing standard rug sizes and tips for how to choose a rug size for any room in a snap! 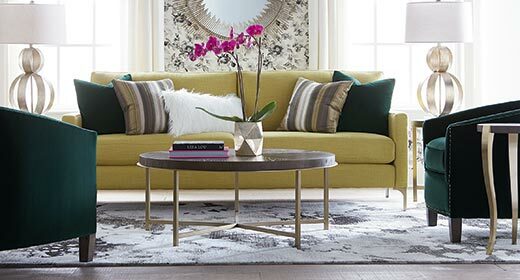 Understand how to design a sectional in 4 easy steps. 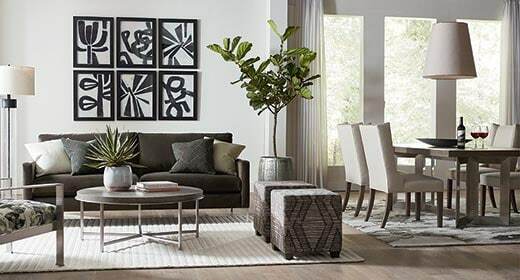 Learn about types of sectional configurations, room placement, and style options in this special sectional buying guide. Sofa or sectional? 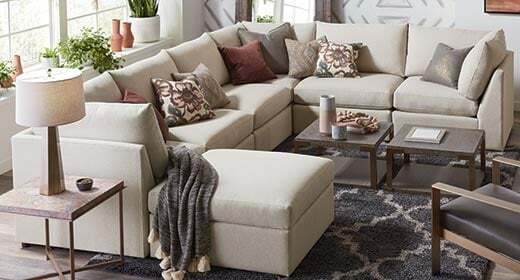 Answer a few simple questions, and you can figure out whether sectional or sofa will give you the best fit for your room. A quick review of standard table sizes and tips for how to navigate dining table sizes (and coffee tables too!) to find one that fits your lifestyle. Small bedroom layout? Relax! 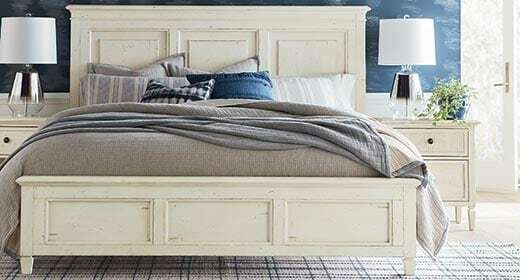 These 5 tips from Bassett on how to set up your small-sized bedroom can help you create a space that looks bigger — not crowded — while feeling inviting and stylish.